This is the first wreath I ever designed for my shop. The original (actually the second one I made) still hangs on my front door to welcome guests to my home. 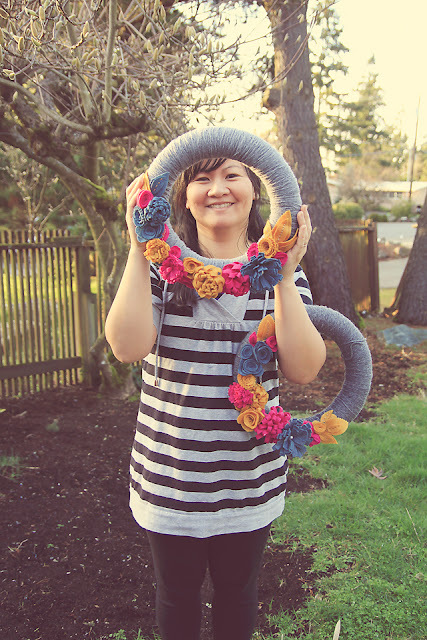 It's a versatile wreath that has lasted from autumn through Christmas and now late winter. I recently made a new one for a "special order". Each wreath is a little different from the last because I don't use a pattern for my flowers. 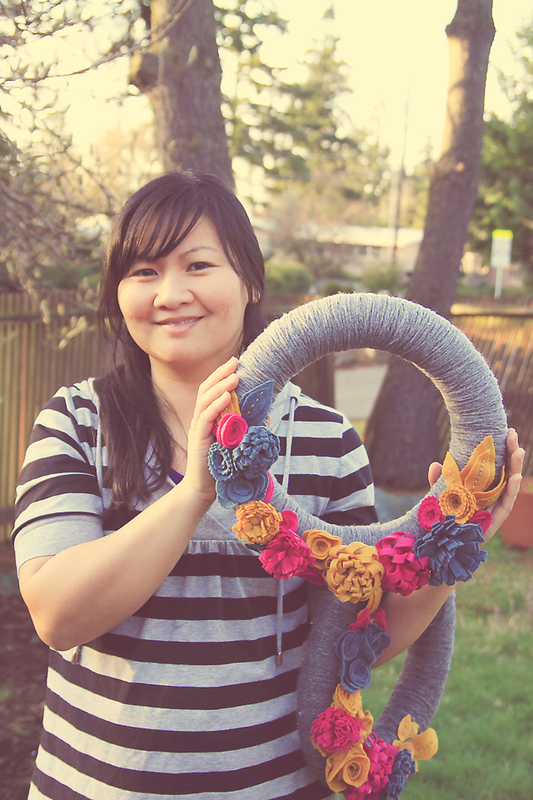 They are cut freeform so each wreath is truly one of a kind! I had my husband take a few photos of me. The new one is in my hand and the "older" one is on my arm. The colors will probably work for springtime as well, but I just picked up some new materials at my latest run to the crafts store. 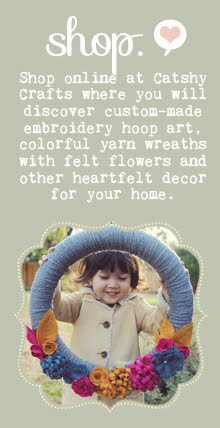 I will be making a brand-new wreath (slightly smaller size) with colors of mustard, grey and a bit of dusty teal. I have a few things on my plate before I dig in, but I'll share my progress soon! And in the meantime....here's a quick peek of another custom order. 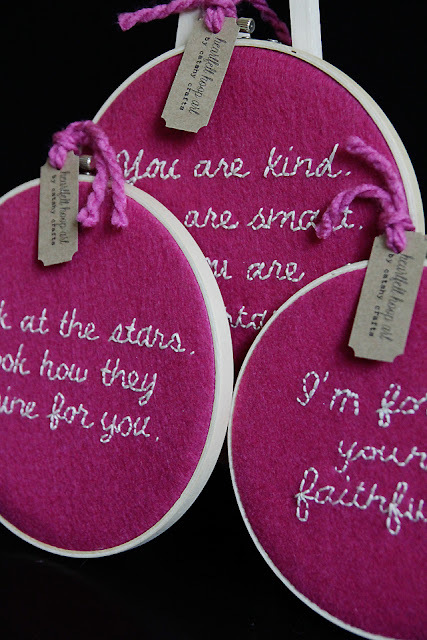 Three embroidery hoops (2 7-inch and 1 6-inch) with hand-embroidered quotes chosen by the customer. Because the quotes were quite lengthy, I tried a new technique of embroidery. I printed the quotes out on paper and used it as a guide for stitching. I usually free-hand my embroidered words, so this was a change for me. p.s. 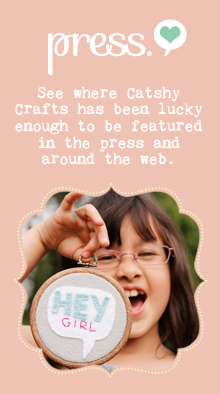 If you enjoyed the custom stamp I shared in my last post, you should check out Minna's blog today! 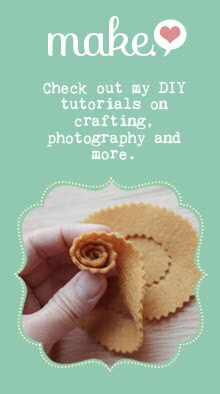 She has a tutorial on how to hand-carve a stamp! Cathy!! We just got our hoops today (the ones in this post) and I LOVE THEM. I already have them hung up in Baby Josie's room. Thank you and we love themmmm!!!!! Oh Jenn!!!! I'm so glad they arrived safely and that you love them. What a lovely way to decorate your baby Josie's room! Please share a pic if you have the time. I would love to see them! Gorgeous wreath and gorgeous colors!! those are all GORGEOUS. Love them!! !